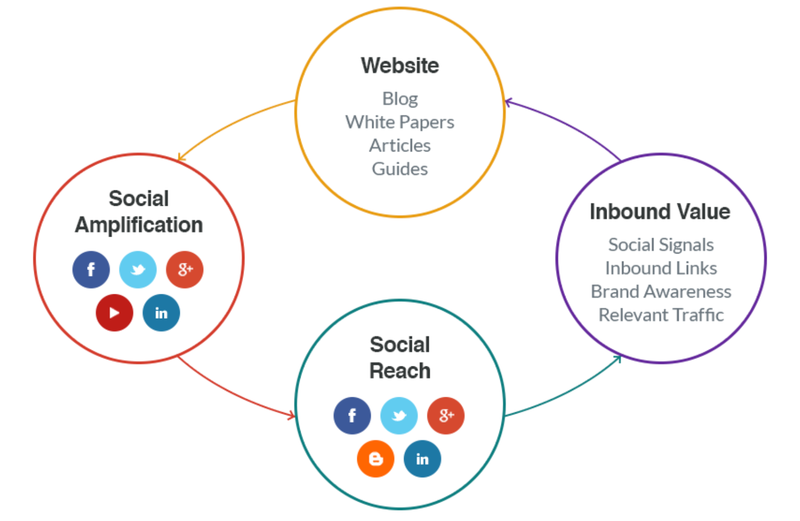 What the heck does social media have to do with SEO? At MWI, we get this a lot from current and prospective clients. Social media is a rapidly growing marketing channel that most companies have only just begun taking advantage of in the last few years, but it’s very important to leverage – especially if you’re investing resources in search engine optimization. Creating and managing social media accounts are extremely important for supporting SEO efforts, although the benefits are not immediately apparent. Out of the numerous reasons why you should consider social media as part of your online strategy, here are 5 reasons it’s important for SEO. It’s no secret that Google, Bing and other major search engines have been using online dialogue as part of their ranking algorithms for some time now. Whenever people tweet, like, comment or share a piece of content, this is called a social engagement. The more social engagements a piece of content has, the more social signals you build to your site. Search engines measure these social signals, and use it as a quality factor when ranking content. It’s a way to measure what content people find useful over what their automated algorithm determines to be of high quality. A piece of content can also be indexed instantly if it’s receiving a lot of social engagement. Long gone are the days of going out and asking for websites to link to yours. With the emergence of Google’s Panda and Penguin algorithms, SEOs are forced to do link building the old fashioned way – create high quality content that is link-worthy. But how do you reach sites that would be willing to link to your content if asking them directly is considered an “unnatural” link building practice? Social media is the answer. Social media enables you to put your content in front of relevant audiences that may be influenced to link to it if it’s worth linking to. Those people will also share your content with their network, further increasing the influence of your content. You can create all the high quality content you want, but it won’t gain much traction without amplification. Sure, email marketing is a great way to amplify content, but it will only reach the people in your marketing database. Social media enables you to reach new audiences with your content. Once you share your content, your following will also share it with their following if they find it useful. Then those people will share it with their following, further increasing your reach. In return, you gain a lot of relevant traffic, inbound links, social signals and brand awareness – all of which are used by search engines to determine content quality. Brand identity and awareness can tell search engines a lot about the quality of your website and how much it should be trusted in its ranking algorithms. Aside from amplifying your content, social media also helps build brand awareness. Google calls this co-citation. Building these co-citations through social media will help improve Google’s trust in your company website as well as helping with branded search queries. Search engines have been indexing social media profiles for a few years now, which means they now show up in search result pages. This enables your brand to show up in search results for branded search queries on more than just your company website. But it gets even better than that. Individual Tweets from Twitter were once indexed and shown in search results as well – enabling another way for your content to rank in search. That was only temporary for a few months until Google decided to discontinue it up until now. Google will once again show tweets in search results, so it’s important to leverage it for getting your content ranked. Are you interested in learning more about how social media can help your business grow? Learn more about our social media management services and contact us for a free consultation.